Home Entertainment Megyn Kelly: Could ‘blackface’ row end TV anchor’s career? 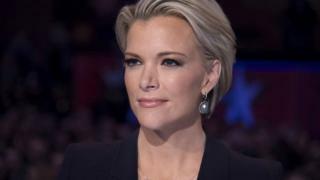 TV presenter Megyn Kelly has been a mainstay of US cable and network news for more than a decade – but now the career of one of the country’s best-paid anchors is in doubt. NBC News announced on Friday that the Megyn Kelly Today show is being cancelled and her co-anchors will replace her in episodes airing next week. The move comes after she was heavily criticised for defending Halloween costume “blackface” during a segment on her morning show earlier this week. “But what is racist?” she asked an all-white panel on Monday during a discussion about a university crackdown on offensive costumes. She then defended a reality television show star who drew ire last year for darkening her skin and donning an afro wig to dress as Diana Ross. “Who doesn’t love Diana Ross? She wants to look like Diana Ross for one day? I don’t know how that got racist on Halloween,” Kelly said. The backlash was immediate – and the anchor was accused of being tone deaf and ignorant to racial sensitivities. Incredulous viewers shared videos of the segment on social media, pointing out the well-known history of degrading depictions of African-Americans using blackface throughout US history. Kelly apologised to NBC staff internally and then publicly to viewers on the Wednesday edition of her show. But questions are being asked about whether the career of one of the country’s highest paid news stars can, or should, recover. Kelly joined Fox News in 2004, with little previous experience as a reporter. Born in 1970 in upstate New York, Kelly was the youngest of three children of a college professor father and a mother who worked as a nurse at a veteran’s hospital. A keen cheerleader in high school, she went on to study political science at Syracuse University before qualifying as a lawyer in Albany and practicing as an associate in a law firm for about a decade. She then decided to switch careers and made a demo tape that got her work as a reporter for a local ABC affiliate in Washington DC, before bagging a job at Fox News about a year later. In 2010 Kelly got her first solo spot presenting Fox’s America Live. She was credited by the network’s then head Roger Ailes for improving ratings, especially among younger audiences. She was known for her unique and tough interviewing style, upper-cutting guests with a sharp line of questioning that would often leave them scrambling for a response. As an anchor she courted controversy, especially from the left, with her coverage. In 2013 she made headlines after declaring Santa Claus had to be depicted as a white man. The segment drew ridicule – and Kelly later said she regretted the comments, as well as other “stupid [expletive]” she said while at Fox. Her profile soared spectacularly in 2016 after she sparred with Donald Trump during a Republican primary debate. “You’ve called women you don’t like fat pigs, dogs, slobs and disgusting animals,” she challenged the candidate. Mr Trump fired back – labelling the question inappropriate and criticising Kelly in several interviews, including one where he seemed to suggest menstruation was to blame. “There was blood coming out of her eyes, blood coming out of her wherever,” he told CNN. After Fox News CEO Roger Ailes was sued by other women at the network for alleged harassment, Kelly came forward with her own allegations against him in her 2016 memoir. Despite an apparently more lucrative offer from Fox to keep her, Kelly announced her departure for NBC at the start of 2017. She was given the 09:00 morning slot for Megyn Kelly Today – a magazine news programme spliced with lifestyle and celebrity segments, and recorded live in front of a live studio audience. It was a sharp pivot from her previous role, and the show was panned by critics who found Kelly’s transformation less than convincing. The rocky start worsened when actress Debra Messing said she regretted appearing on the show after Kelly asked a Will and Grace fan whether he had “became gay” because of its influence. Viewing figures continued to be lower than those enjoyed by the show’s previous hosts. Kelly then got into a very public feud with another guest, actress Jane Fonda, over an interview where she pressed her on her history of plastic surgery. In January this year, Kelly escalated the feud in a three-minute monologue where she brought up the actress’s record of protesting against US involvement in Vietnam and the nickname “Hanoi Jane”. NBC staff told the Washington Post newspaper that colleagues had become fed up with Kelly well before the blackface controversy. Her other NBC slot, Sunday Night with Megyn Kelly, only aired eight times and has not been broadcast since July 2017. The new row has led to previous comments she made when covering racially charged topics at Fox being brought back up, including one report where she described black communities of having an “anti-cop…thug mentality”. 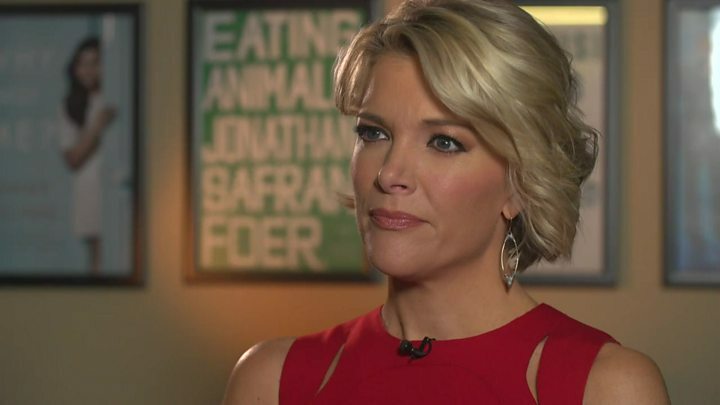 “This is not Megyn’s first go around with racially tinged talk. We know her history; we’ve watched her on Fox, stirring up political divisiveness and animosity,” former ESPN vice-head Roxanne Jones wrote for CNN. Kelly has now parted ways with her talent agent and there are strong rumours in US media that NBC is in negotiations to pay off the rest of her rumoured $69m (£54m) contract.